Does car maintenance services payoff long? In a household, a car is one big purchase that most people make. Owning and driving a vehicle represents the second biggest household cost. Individuals with a tight budget are often enticed to avoid standard car services, or if nothing else they postpone going to the right car garage for service. Ignoring car services can cause a heavy mechanical and physical damage to the car every year. A few merchants will ask you that you need to opt the prescribed car workshop to keep your car warranty going on safely. 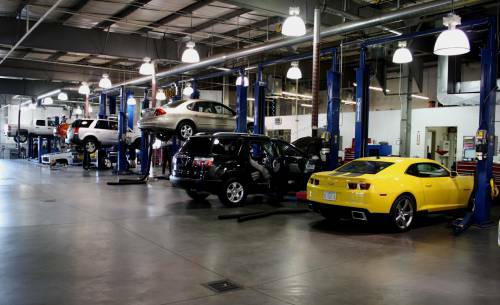 However, you can choose a proficient car workshop that will pay you off in the long run. One such workshop providing reliable car mechanics in Gurgaon is Pitcrew. You can take benefit of their car repair service without any fear. Car maintenance can build your mileage. Your tyres ought to be checked, rotated and aligned regularly. In case that they are not appropriately inflated, or have the wrong tyre weight, you can lose fuel economy as less tyre pressure increases fuel consumption. When you get the tyre fixed in a car garage, you can see a change of 3-5% in improved fuel economy. Get fuel lines and air filters checked by a repairman since they can regularly have leaks or clogs. A clogging can reduce fuel economy to up to 15-20%. Setting these two issues can truly spare you cash at the pump. The entire thought of car maintenance is to counteract as opposed to repair. Maintenance on standard basis won’t just guarantee road security though will expand the life expectancy of the car too. This subsequently implies that a proper car servicing will serve you better and lasts longer too. Ultimately, a proficiently kept car gives higher selling value which will enable you to secure a superior car value on selling it in the future. The other benefit of getting your car serviced or checkup regularly is you can avoid car breakdown. Whenever a car goes under regular service its belts, suspension, spark plugs, etc are checked for normal running condition. This not only helps you save money by avoiding big breakdown but also saves valuable time. For Regular car service at affordable prices you can try Pitcrew.